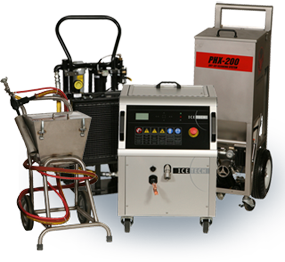 Sales and rentals of dry ice blasting machines are primarily serviced through Continental Carbonic's corporate headquarters and equipment distribution center in Decatur, Illinois. We stock a large inventory of machines available for immediate shipment. Continental Carbonic has 40 distribution facilities throughout the eastern two-thirds of the U.S. and Canada to service all of your blasting dry ice needs. For information on specific locations, please visit our Map.